Weather/Conditions: Cloudy and dry. Good for climbing. Topo above - 10 pitches. Mine in green, Tom in red. 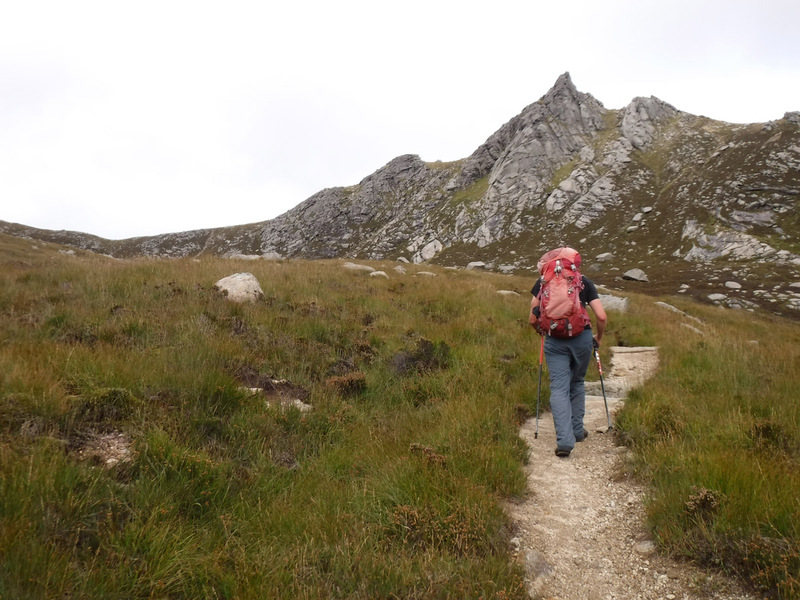 Our first day on Arran. 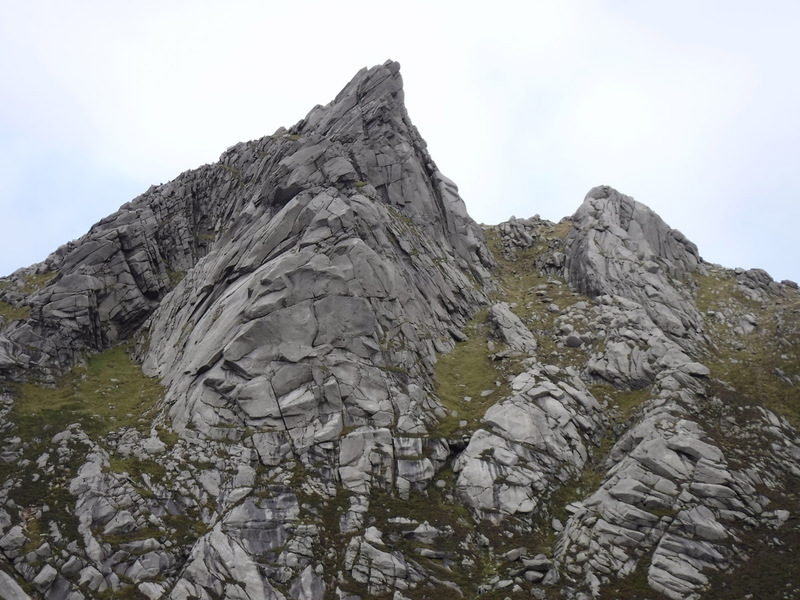 I walked on Arran in 2008 but had never been to climb on the phenomenal granite of the island. Tom and I scheduled two and a half days of climbing which turned out to be full on - but we got a solid amount done, given the time we were there. We'd both worked on Ben Nevis the preceding day, driven to Glasgow, then were up early for Ardrossan. We parked up and hauled our stuff into the terminal. 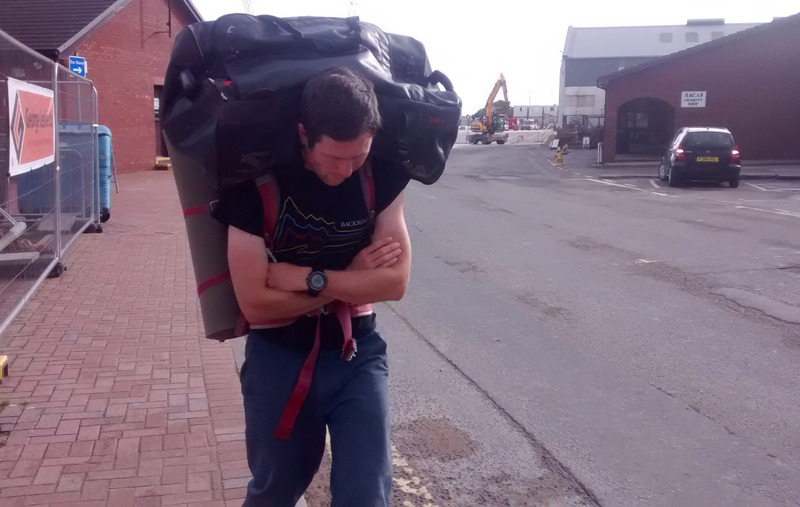 It was a lot of gear, and we were to carry all this into Glen Rosa, apparently! 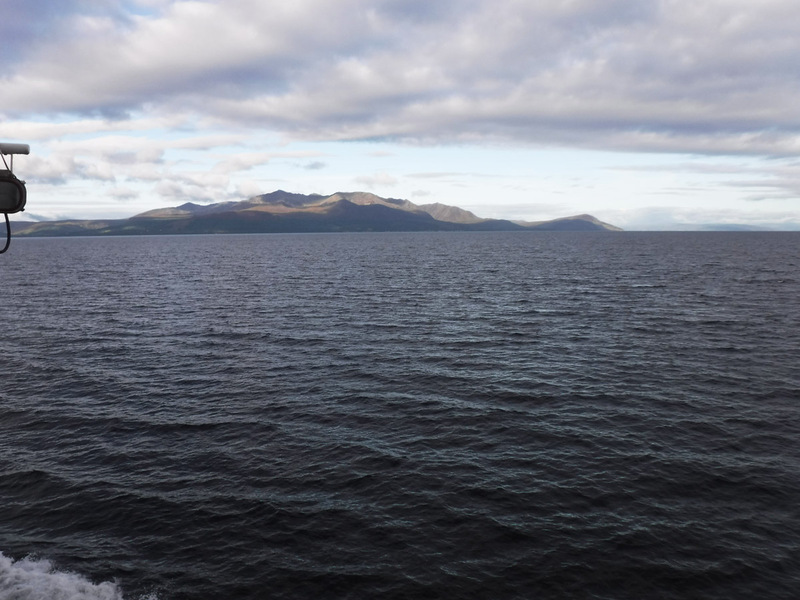 The ferry was a good break, then getting off at Brodick we got some food and headed straight for Glen Rosa. We'd given up on trying to get a taxi to the road end when it transpired that every taxi number was unavailable or out of contact altogether. The bags were heavy, and we took turns with the bigger haul bag, which usually ended up going over the top of the shoulders. It's not something I could do for long. We eventually left the road and headed into the glen. 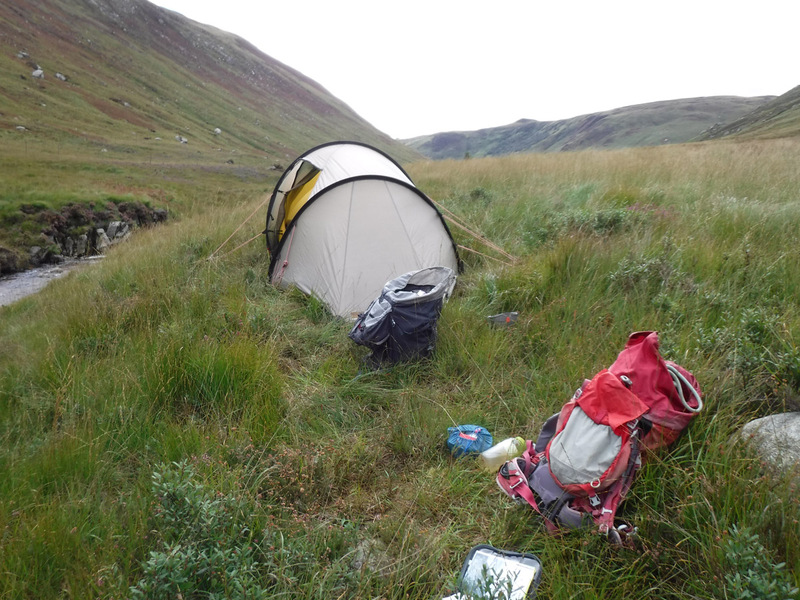 Our first choice of campsite, by the Garbh Allt, seemed too busy for comfort. Many groups were sitting around, working or walking through. 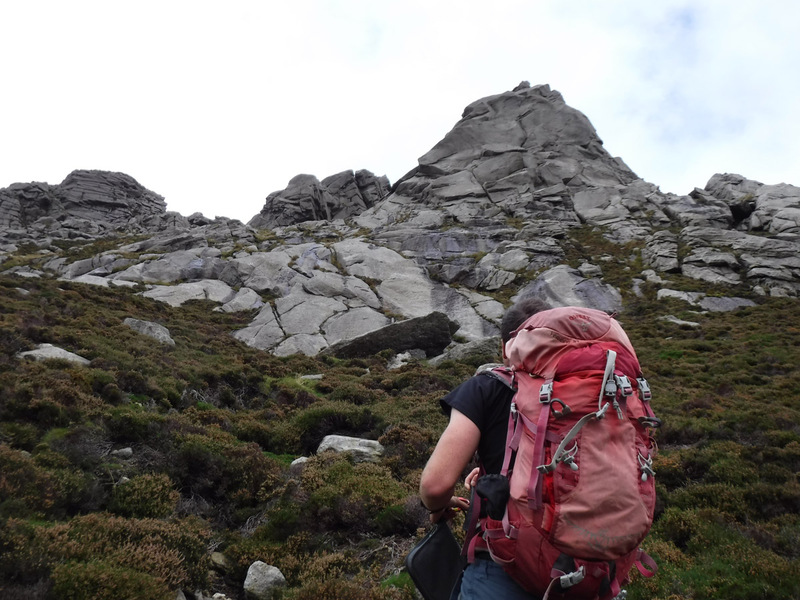 I wouldn't have felt great about leaving a lot of kit here, so we headed further into Glen Rosa, keeping eyes peeled. 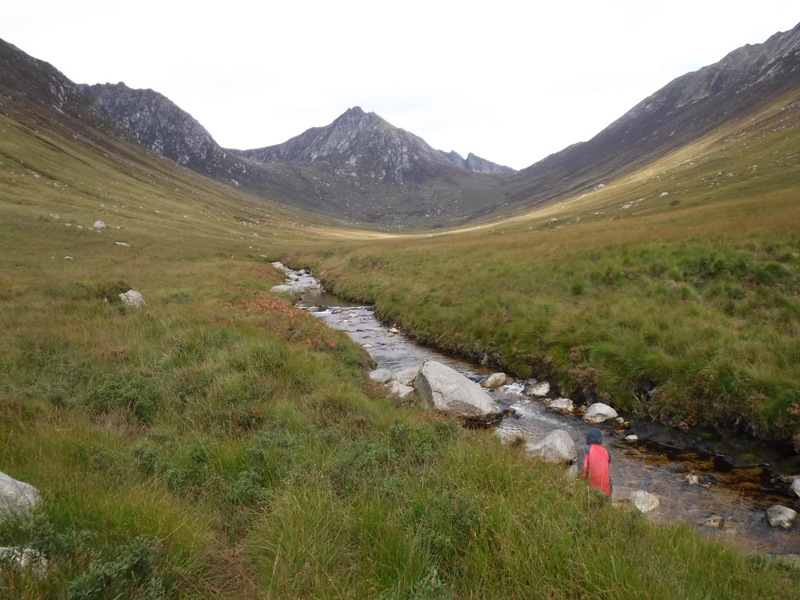 It turns out that further up, Glen Rosa is rubbish for camping. But we managed to find just one about-permissable spot by the river a mile up. All else was lumpy, saturated tussock and bog. 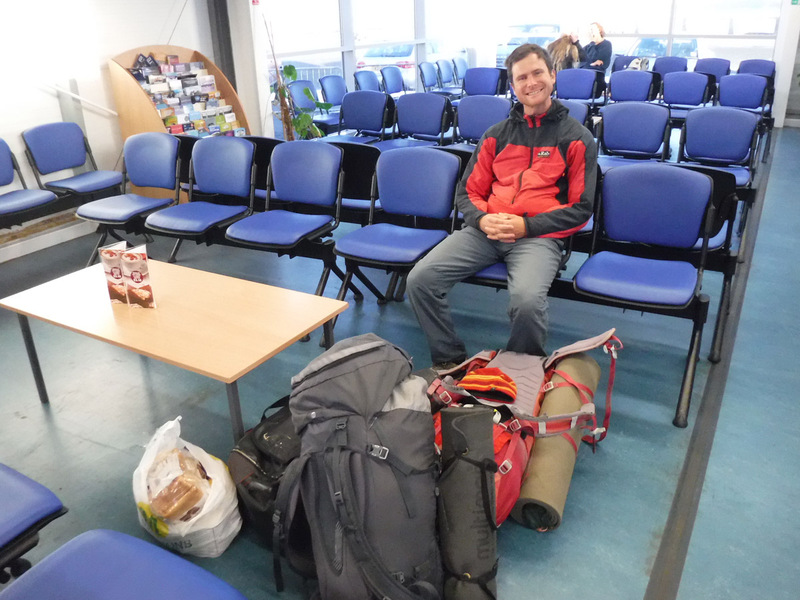 With camp set up, we continued on our way with significantly (!) lighter sacks. 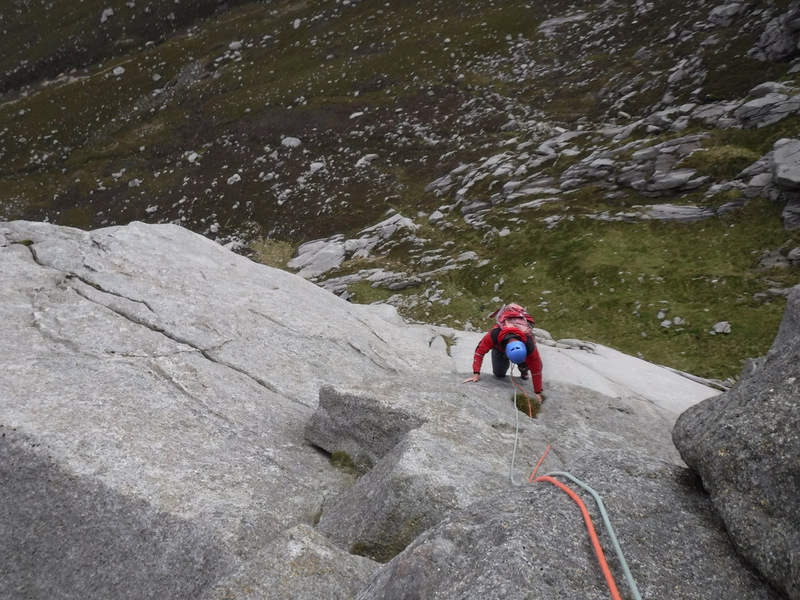 South Ridge Direct was the evening's plans and we continued to Cir Mhor. I was slightly surprised at what a long walk it was; it seemed a lot of effort just to get in there. In time we turned off and headed to the base of the South Ridge. The very beginning is quite indistinct, but soon gains definition in two crux pitches. 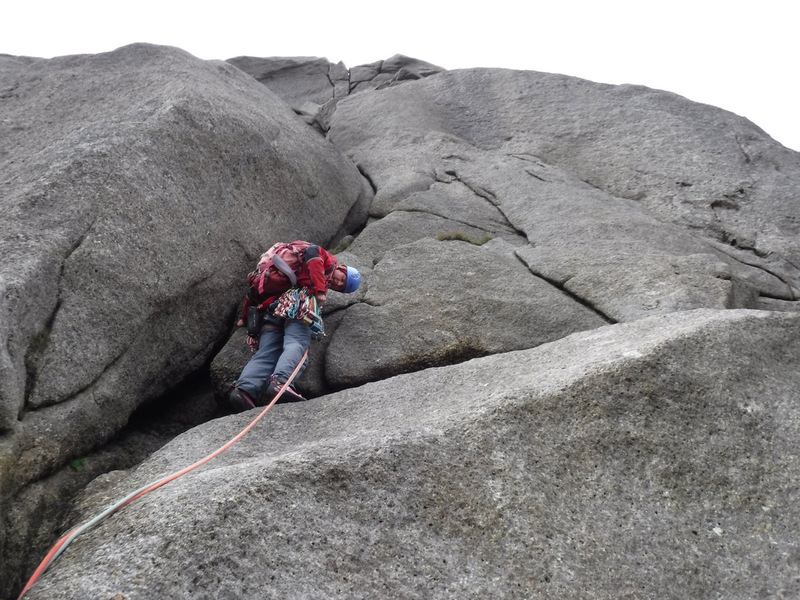 Tom took the lower of the two; a slabbier pitch. 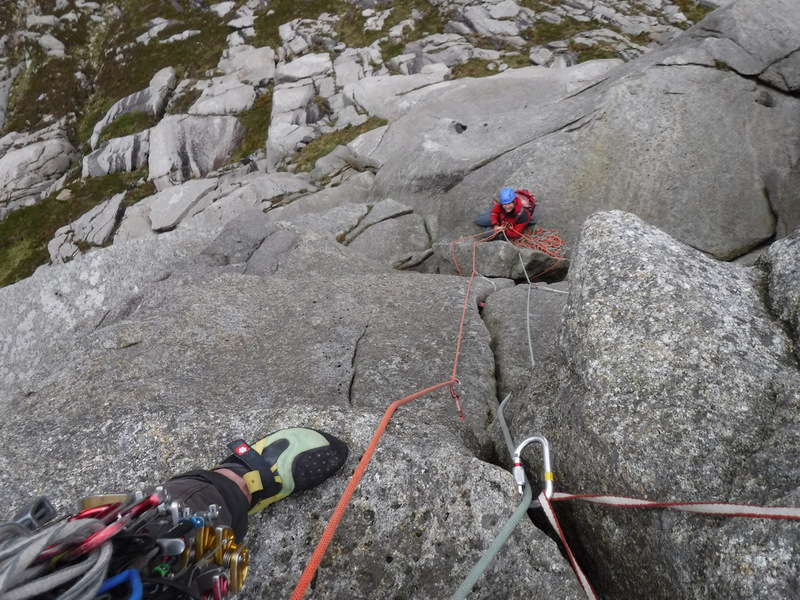 Above reared twin overhanging cracks which I took. It was a good little pumper, especially with a rucksack on! 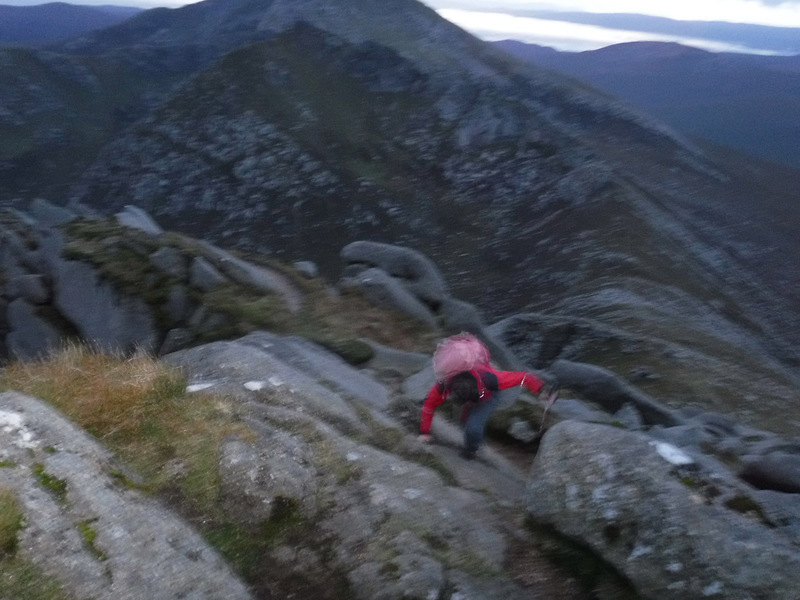 Above this the climb looses definition again, weaving on more 'mountaineering' terrain. It actually sort of all merges into one, but the continual motion and application of efficient techniques was good fun. 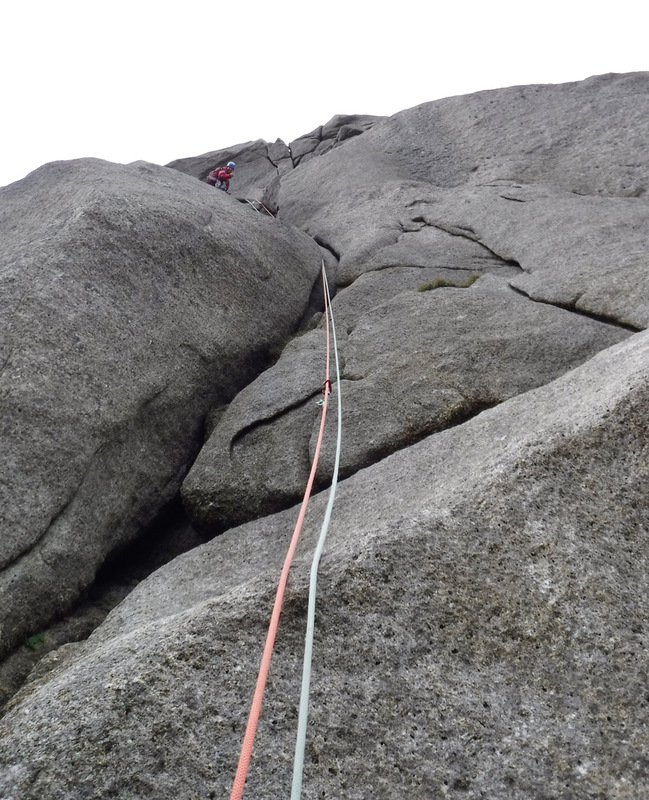 Nonetheless there were some memorable pitches on the way, which culiminated in three pitches climbing the final 'comb'. 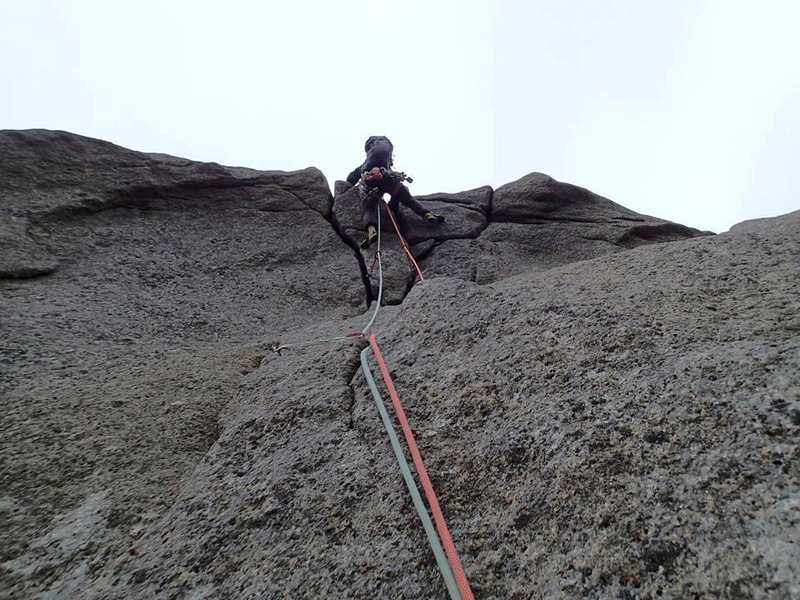 This gets particularly exposed at the very top, a brilliant finale to a very classic route. 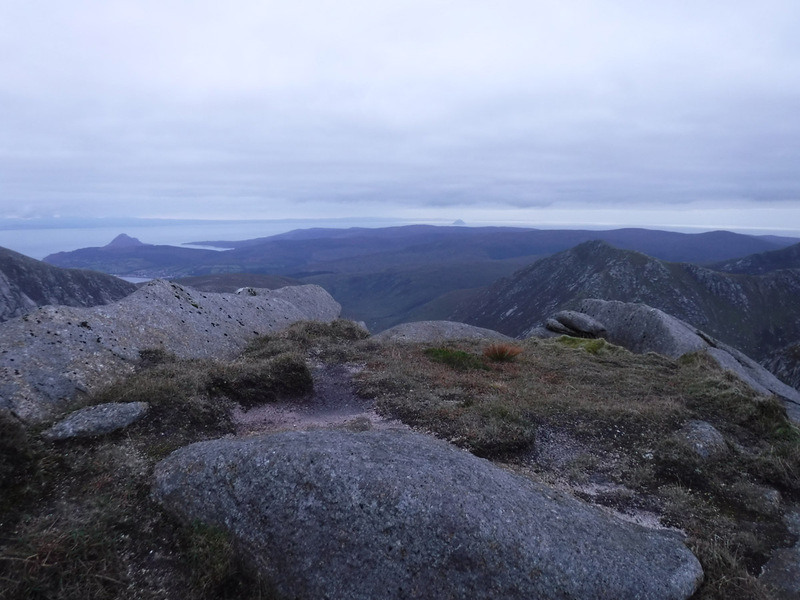 As usual, time had got on and we scrambled up to the summit to find a stunning moody view, the mountains brooding in the late light. 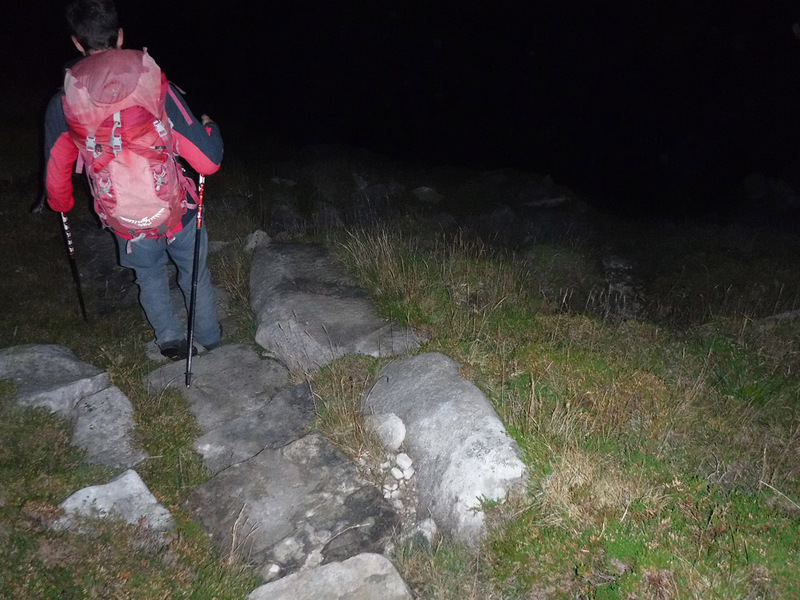 We'd completed our route and had just an easy descent ahead. It had been a long time since I was here, and in 2008 my skill level was so much lower that even the walking route to this summit felt full-on. 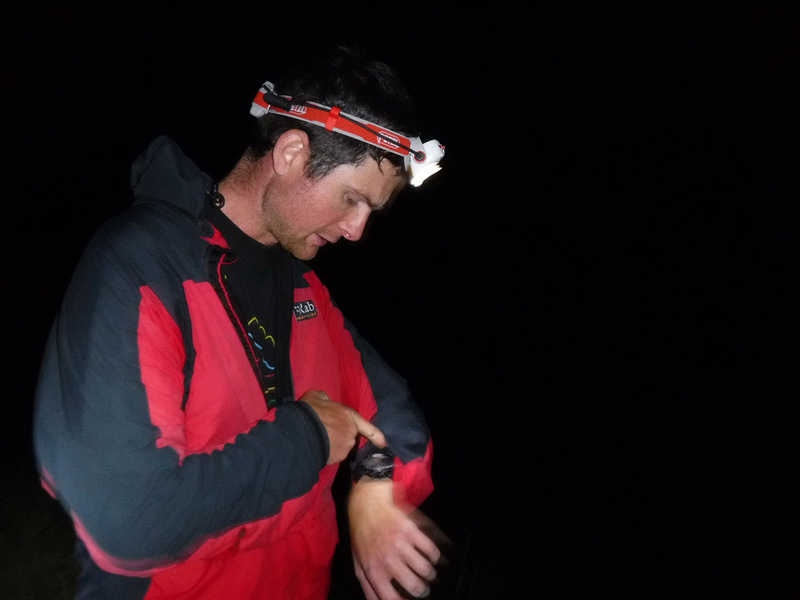 Darkness fell on the walk to tent, just one route error on the way but no real problems. It had been a good, full first day. 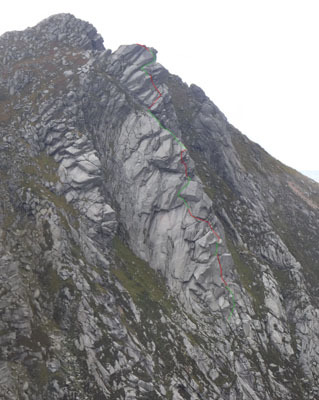 The following day we climbed West Flank Route.